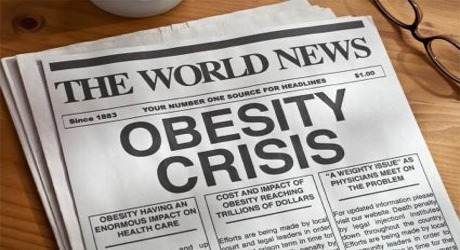 The obesity crisis is growing into an enormous problem, not just for the overweight individual but for the healthcare system. 1.5 billion people worldwide are obese, resulting in 25% greater healthcare costs per person than for a normal-weight individual. 1 in 3 adults in the U.S. are obese. Heart disease, diabetes, gallbladder disease and sleep apnea are just a few of the conditions that could be prevented, moderated or even reversed through weight loss. Obesity is the #2 preventable cause of death in the U.S. By 2020 it’s estimated that half of Americans will have diabetes or pre-diabetes, obesity will reduce life expectancy by an average of 13 years and obesity-related medical expenses will be $344 billion (around 21% of health care spending). It is important to be well educated about this obesity crisis to prevent our future generations from horrifying diseases. We must share the knowledge and show awareness. Do you suspect that you or someone you care about is obese (rather than overweight)? Calculate BMI (body mass index) to know for sure: the individual’s weight multiplied by 703 and then divided by twice the height in inches. BMI of 25.9 – 29 is considered overweight; BMI over 30 is considered obese. Don’t let no one you care about be mislead by poor decision making. Helping is the best choice you can do. Need a Motivation Boost? Visit Us On Pinterest!